Fold money into origami flowers for a lei. Create money origami leis as a fun project for your extra dollar bills. It's the most fun you can have without spending a single dollar. The idea of creating money leis may have originated in Hawaii, where they are often given as gifts. They are a great, more personal alternative to gift cards or checks. These leis are actually very easy to make, which makes them perfect origami projects to share with kids. Here's how you can make your own money lei. Place a dollar bill on the table in front of you. Fold the bill back and forth accordion-style. Once the entire bill is folded up, secure it in the middle by tying the ribbon tightly around it. Allow the ends to fan out, forming a flower shape. Repeat this process with the next bill. When you're ready to tie this one, use the ribbon to secure it next to the first flower. Continue folding bills and attaching them with the ribbon until the lei is the desired length. Standard length for leis is about 36 inches, but you might want to go with a smaller one if you're making this for a child. Tie the ribbon ends together to create a flower necklace. Trim the excess ribbon. Money leis make great gifts for graduations, weddings, showers, and birthdays. They're also a great way to give cash to kids. If you don't want to use 100 dollar bills to create your lei, you can alternate using paper money and pretty origami paper. 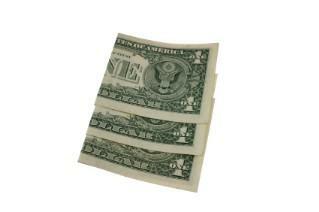 Simply cut the paper into a similar size and shape as the bills to provide a consistent look. Don't give these leis to kids under the age of three. The closed loop of ribbon makes it a strangulation hazard. Instead, kids this age might like a money origami animal. It's fun to make money origami leis as a group. Why not involve a bunch of people in the project and create a gift you can give together? Origami money lei are unique ways of presenting cash to someone who deserves it. You'll have fun making it - and the recipient is sure to appreciate the unique approach to giving cash - a gift that is always appreciated.